It would be nice to discuss this album as if John Frusciante had never left. However, to do so proves impossible. 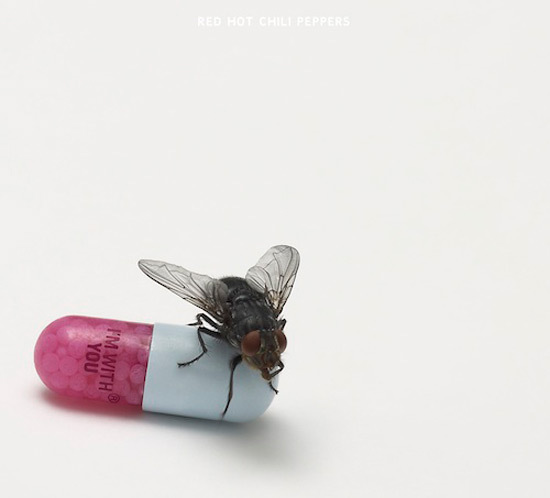 We can safely assume that the majority of the reviews on the Red Hot Chili Peppers’ 10th studio release, I’m With You, will focus on the absence of that essential melodic layer that helped to evolve their sound over their storied 28-year career. I do not view this release as the dawn of John. Instead, I would like to consider I’m With You another step forward in the evolution of the Red Hot Chili Peppers. Replacement Josh Klinghoffer grew up in the same scene as the Chili Peppers. His band The Bicycle Thief opened up for RHCP in 2000, during their Californication tour. Klinghoffer began collaborating with Frusciante shortly thereafter and the stage was set. Much like Frusciante, Klinghoffer is a musician that spreads his work across a variety of projects. He fronts the instrumental project Dot Hacker and even drummed on new indie buzz band Warpaint’s 2010 release The Fool. With roots in the LA music scene and an obsessive dedication to his own musical tastes, Klinghoffer proves the ideal Frusciante substitute. With Frusciante or without, I was hungry for another opportunity to hear the band, and I find the results encouraging. Aside from the greatness of the Core Three, Klinghoffer’s decision to open himself up to vulnerability is worth noting. He was less concerned with filling John’s shoes as he was buying a completely different pair. The bellowing riffs at the end of “Police Station” display a darker sound than we are used to. “Meet Me At the Corner” ends with a country twang that serves as a first for the Chili Peppers. To me, “Look Around” stands up as my early favorite. They embrace their old school funk sound and embed it into a brand new virtuosic interpretation. This track reassured me that I could certainly deal with this new life. It also displayed Klinghoffers freedom, which underscores the group’s trust in their new man. This album will not likely reach the level of commercial success that 2006’s Stadium Arcadium attained. Frusciante will likely be brought up in the same breath as I’m With You with its similarity to One Hot Minute. With a band this big, there will always be a large table with many chairs open for criticism. I think the revolving door of band members coupled with the continuing change of sounds has been the reason why RHCP has always kept my interest. I support this album and congratulate the new team on continually embracing innovation.